This plugin checks the status of objects monitored by Dell OpenManage via SNMP and returns OK, WARNING, CRITICAL or UNKNOWN. If a failure occurs it will describe the subsystem that failed and the failure code. 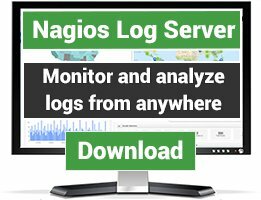 This plugin checks the status of objects monitored by Dell OpenManage via SNMP and returns OK, WARNING, CRITICAL or UNKNOWN. If not OK it returns text describing which subsystem failed. This plugin focuses on low bandwidth and speed. Questions, comments and criticisms are appreciated. 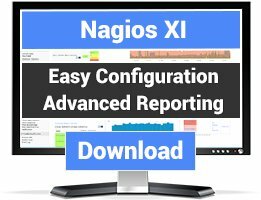 Copy this file to your Nagios installation folder in "libexec/". Rename to "check_dell_openmanage.pl". You must have Dell OpenManage installed on the server you wish to monitor. You must have enabled SNMP on the server and allow SNMP queries. On the nagios server that will be running the plugin you must have the perl "Net::SNMP" module installed. This will report which OID's your system supports. * Fix bugs and make more user friendly. * This was done to allow adding machine information Dell Model Number and Service Tag to output. *major rewrite. simplified the way new systems are defined. *added system type "test" which can be used to easly generate new system definitions. *while in verbose mode report which OID failed in a more readable manner. *add "global", "chassis", and "custom" system type. *added type dellom_storage as this is more accurate. 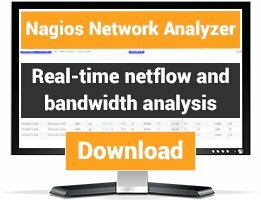 this plugin works with all PowerEdge servers it has been tested with. left pe2950 type in for compatibility. *check that perl environment has "Net::SNMP" if not found complain. missing "Net::SNMP" is the most common issue users report. When I run the test it scrolls thru fine except for one item. systemStateCoolingDeviceStatusCombined always shows NO RESPONSE. If I put the same OID in there twice and name the second like systemStateCoolingDeviceStatusCombinedd with two d's, both return OK. Take either out and it returns NO RESPONSE. Use of uninitialized value in concatenation (.) or string at ./check_dell_openmanage.pl line 491. Use of uninitialized value within %dell_oids in string at ./check_dell_openmanage.pl line 492. Even after changing time-out, i keep getting this...any hint? I have around 200+ Dell server here and it helps me to monitor them easily. Jason is really helpful as well. Works excellent on a Dell PowerEdge 1850. This plugin is interoperating with Dell OpenManage 5.5 on Red Hat Enterprise Linux 5. The documention is quite good and it's easy to adjust the plugin to your personal needs.